Created as a tribute to the new and amazing LaFerrari supercar, this amazing looking watch from Hublot is a true stunner in all respects. Aside from its awesome design, the new MP-05 LaFerrari watch boasts a series of technical features that will impress all connoisseurs. This here is the world’s first hand-wound tourbillon wristwatch to boast a power reserve of 50 days! 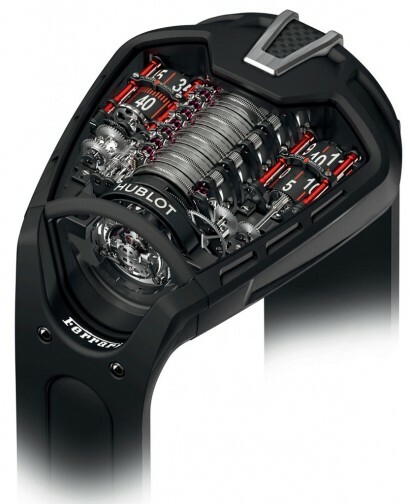 It was designed, developed and manufactured entirely by Hublot’s watchmakers and engineers, and it flaunts the highest number of watchmaking components ever used by the fabled Swiss enterprise for one movement – 637, of which 108 are jewels. A total of eleven series-coupled barrels make up what seems to be the timepiece’s spinal column, and they work together to ensure its the record power reserve. They can be admired thorough a uniquely shaped sapphire crystal which was obviously inspired by the dynamic design of the LaFerrari. The crown is integrated into the design of the case so that it doesn’t stand out. On the right side of the barrels the time is displayed on anodized black aluminum cylinders (one for the hours, one for the minutes). The left side was kept for the power reserve cylinder. The case is made of black PVD titanium, just like the folding buckle, while the strap is black rubber. Only 50 numbered units will ever be produced, at a price of $300,000 each. Watch enthusiast have been anxiously expecting to see what Rolex would bring to the table at Baselworld 2013 on the occasion of Daytona’s 50th anniversary. They probably expected a brand new model, but the luxury watch manufacturer decided to do a little something else. Rolex has unveiled two fresh versions of older models: a GMT-Master II and a Platinum Daytona, both with new color variations. The Daytona keeps its original 40mm dimension, but brings a new light blue dial and a brown cerachrom bezel. The color combination is classy and quite alluring, but more changes would have been very welcomed as well. Inside the case is a COSC automatic chronograph movement, calibre 4130, with a power reserve of 72 hours. Also still 40mm in diameter, the new GMT-Master II is powered by a Rolex Calibre 3186. 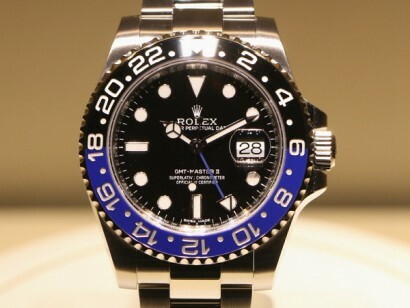 It features a two color cerachrom bezel insert with a day/night configuration. The colors are blue and black, as you can see in the photos below. One is a master at making heirloom timepieces, and the other symbolizes the best of British automotive luxury brands. Now these iconic brands will be celebrating 10 years for partnership with the launch of Bentley Light Body Midnight Carbon Watch that impressively embodies the perfect combination of technique and aesthetics, and has been especially designed to appeal to connoisseurs with a love of exceptional horological creations. The joining of hands happened over the Bentley’s rise to the zenith on the Le Mans races, with first 2 positions going to the drivers of the British brand, and now the Swiss master watchmaker has created something equally unique to celebrate the best of the both worlds. 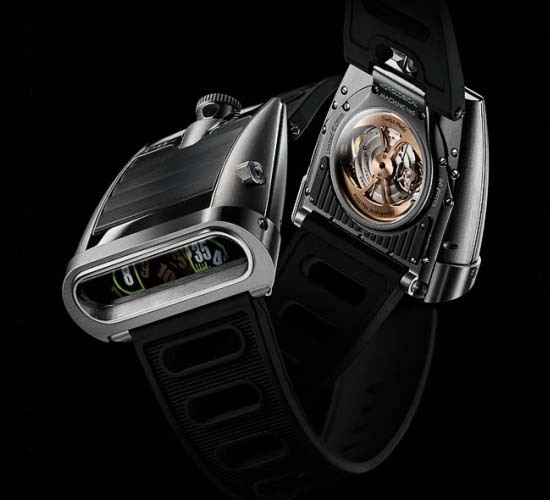 Facilitating access to innovative, contemporary and offbeat watchmaking, while reflecting a new approach for the top Swiss luxury watchmaker RJ-Romain Jerome, here’s an exceptional horological creation that offers an ultra-new way of reading time. 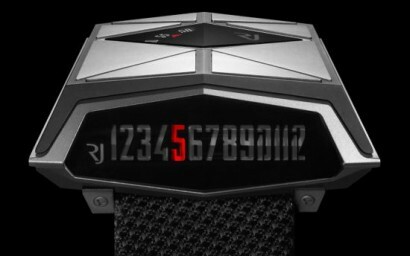 Dubbed as Spacecraft, it’s described to be RJ-Romain Jerome’s first-ever pilot’s watch which actually stems from the joint endeavors of Eric Giroud, Jean-Marc Wiederrecht, and Manuel Emch, and impressively features a complication with its own discreet charm, combined with a pure, restrained design. This 99-piece limited edition timepiece with a rectilinear profile boasting retro-futuristic aesthetics has been especially designed to delight the devotees of ultra-complicated watches with horological complexities and original products, and for the space pilots of the world to carry them off on an intergalactic mission to explore uncharted territories. However, the timekeeper Spacecraft reminds us of the Parmigiani Bugatti Vitesse timepiece whose dial is displayed at a 90° angle. 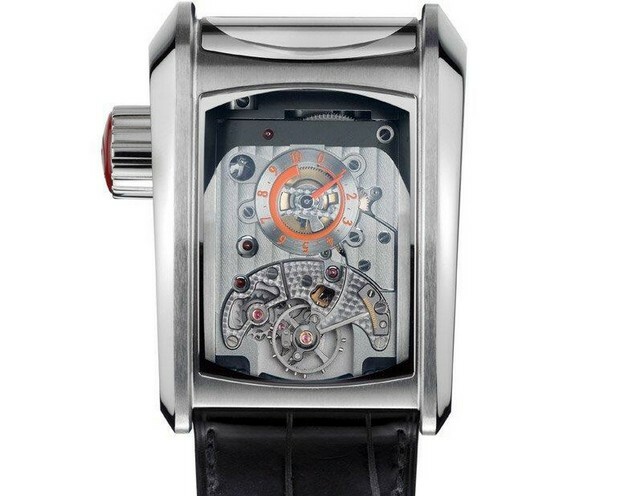 Notably, the three top names in the watchmaking industry including Manuel Emch, Eric Giroud, and Jean-Marc Wiederrecht pooled their idea and creativity to give rise to Spacecraft that impressively combines retro-futuristic aesthetics and horological complexity. 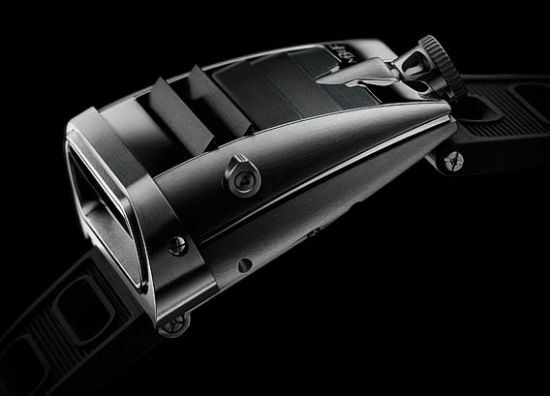 The Spacecraft is an unusual trapeze-shaped model featuring a black PVD-coated titanium case, while its rectilinear profile and its facetted surface echo the aesthetic of spacecraft. Fitted with a black polyamide mesh strap, the Spacecraft conceals a complex movement that features a kind of spring-driven carriage that drives the hour display visible on the watch’s side by means of red-lacquered cursor moving beneath the metallised sapphire crystal every 60 minutes. And the dragging minutes, appearing on a black disc, are read off on the top of the case that also features beadblasted titanium plates. Inspired by the ever fascinating night’s sky, the Rendez-Vous Celestial timepiece is one of the newest creations of Jaeger-LeCoultre. The luxury watchmaker used high-end materials and precious stones to create this jewel-like watch, and for the powering mechanism it chose the famous Jaeger-LeCoultre Calibre 809 mechanical automatic movement. The dial features a hand-guilloché blue crescent shape with transparent lacquer coating, and a beautiful starry sky inspired disc with constellation patterns. There is even a shooting star on the dial, which works as a time customizing device and which can be easily controlled via the secondary crown. 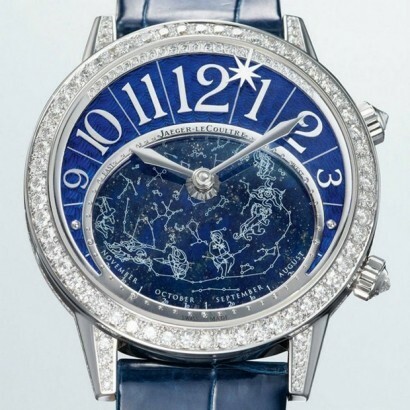 The case of the watch is made of 18-carat white gold, and it is virtually stacked with glamorous diamonds. 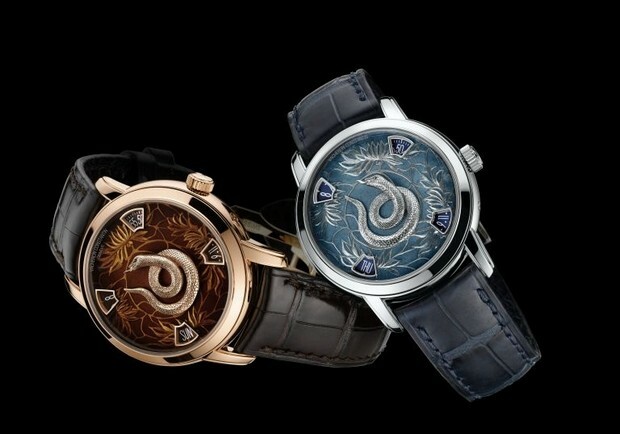 The dial and the two crowns also feature precious gems for an absolutely irresistible effect. The star disc is mobile and it rotates slowly, completing one full revolution every 23 hours, 56 minutes and 4 seconds. 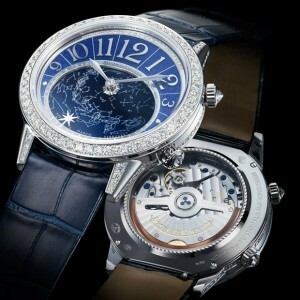 The design also includes the zodiac calendar in the form of constellations. The SIHH 2013 has ended, but its long lasting impact still lingers on. Here is another one of the many outstanding timepieces unveiled at this year’s event. 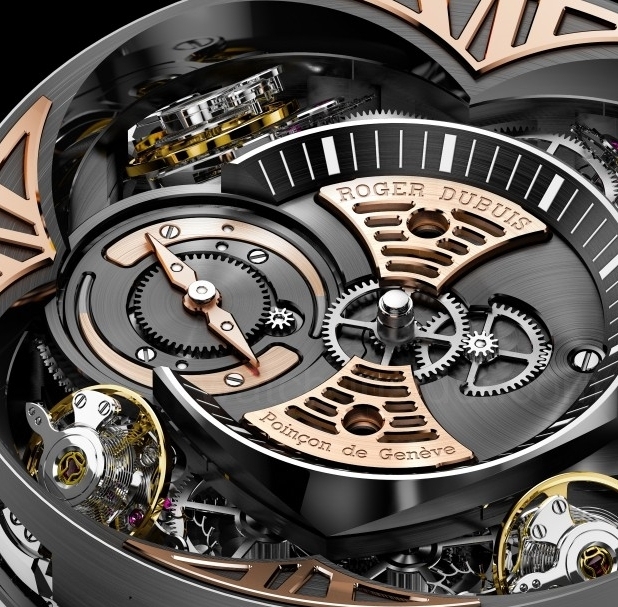 Called Excalibur Quatuor, the watch proudly bears the signature of Roger Dubois. The main feature of the watch is its capability to immediately compensate for any rate variations determined by changes in position. For this to happen, Dubois fitted the timepiece with 4 escapements that work in pairs for an irreproachable performance. The manually wound Roger Dubois Caliber RD101 movement boasts 590 parts, 5 differentials, 4 balance wheels, a power reserve of 40 hours, and an impressive 115,200 beats per hour. 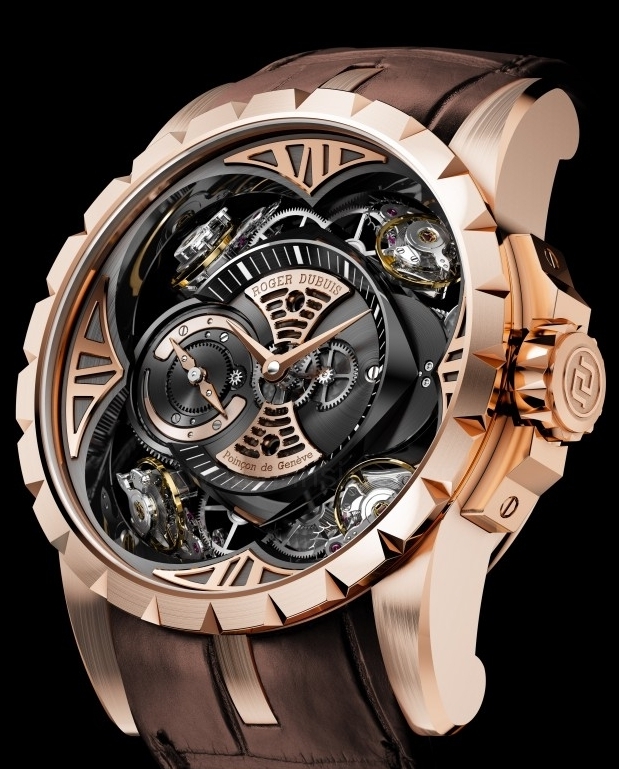 The 48 mm case is made of pink gold, and the movement is coated with rhodium. The stunning dial features an anthracite interior flange, pink gold appliqués, white minute track, and a power reserve subdial. 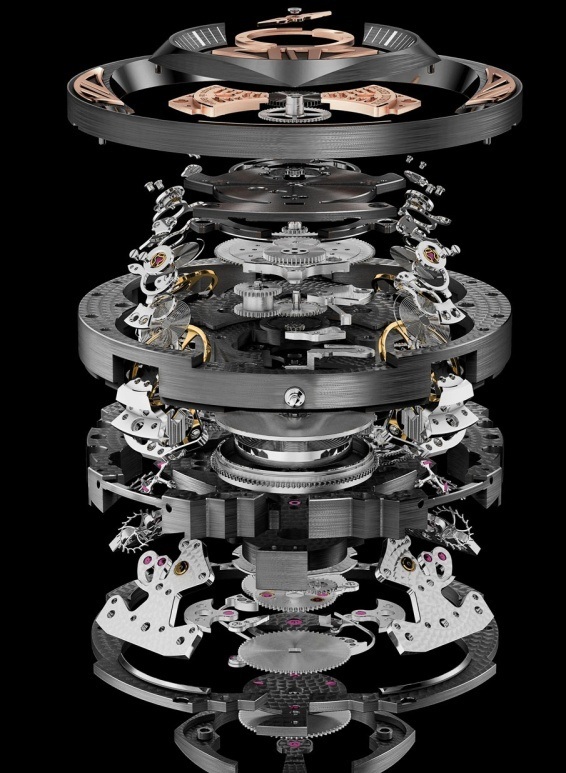 The most visually impressive detail is the 45-degree positioning of the 4 escapements, one at every quadrant of the watch. 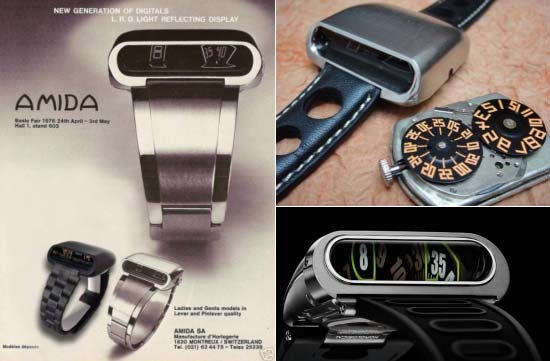 Only 88 pieces will ever be manufactured, priced at about $384,000 each. Already have a stunning Bugatti Vitesse in your garage? Then maybe you would like to complete the set with a matching limited edition timepiece from Parmigiani Fleurier. Inspired by the astonishing supercar, these watches feature titanium cases (36 mm by 50 mm by 22 mm) and matching titanium buckles. They are available in two different versions, and they are all true eye candies. 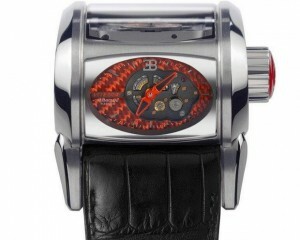 Both versions boast alligator skin straps by Hermes, and brightly colored dials. One has an orange Texalium dial and matching Carnelian cabochon in the 18-carat white gold crown, while the other features a white Texalium dial with blue color inserts and a gorgeous blue Lapis Lazuli cabochon in the crown. Other noteworthy features include 6 AR-coated sapphire crystals, 333 parts, 40 jewels, 10-day power reserve, and 10-meter water resistance. The hand-made main plates are sand blasted and circular grained, while the dials feature a web-like structure of fiberglass covered with a thin layer of titanium. A polished black gold Bugatti Vitesse logo and a polished EB appliqué Complete the design and stand proof of the watch’s high-end pedigree. Finally, the “life”-giving mechanism inside the case is an in-house manually-wound Caliber PF370 movement, with 21,600 vibrations per hour. Steeped in history, romance and chivalry, the legend of King Arthur and his knights has intrigued and fascinated all of us down the ages. And now Geneva watchmaker Roger Dubuis has drawn inspiration from this literary tale to create their latest timepiece – the Excalibur Table Ronde. Renowned for their bravery, the valiant knights took their oath of allegiance to King Arthur around the famous Round Table where they swore to overcome all obstacles and achieve success in all the exciting adventures which they ended up being part of. The dial pays homage to these brave knights as it is a perfect replica of a scene from the Round Table. The hour markers are 12 solid gold figures representing the 12 heroic knights, each carrying swords which are cast by hand in gold. The figures are placed on a hand-painted enamel reproduction of an actual table that hangs in Winchester, England. The Tudor rose is shown diverging from the centre of the enamel disc in contrasting stripes. 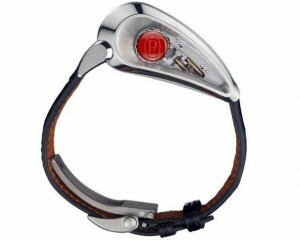 Powered by an in-house made caliber RD822 automatic movement, it has a crocodile leather strap with a 45mm gold case. Limited to only 88 pieces, the watch will be presented at the upcoming Salon of Haute Horlogerie SIHH 2013. According to followers of the Mayan calendar, the world ends tomorrow, when its 400-year-old codex comes to an end. But if you’re following the Lange 1 Tourbillon Perpetual Calendar, you needn’t worry about that happening for another 88 years. 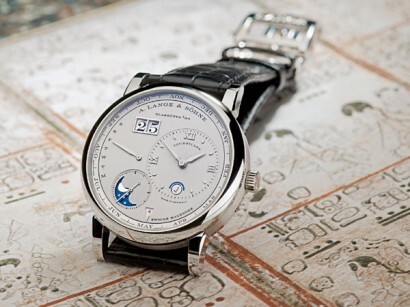 One of three new Lange 1 time pieces from A Lange & Sohne, the watch comes with a calendar that will not have to be corrected until the year 2100, and then too, by just a day. As a first, the months of the year appear on a rotating peripherial ring on the dial, with an arrow pointing to the right month. A counter above it helps keep track of the leap year. Another indicator on the top left also points out the days of the week. The tourbillon remains hidden, under the 12mm thick case of the 41.9mm wide Lange 1 watch. Time and date-conscious watch collectors will like this Lange 1 Tourbillon Perpetual Calendar for its meticulous craftsmanship and time keeping. Launched in January this year, the watch comes in two versions – a line of 100 platinum limited editions as well as the regular 18k pink gold versions. This remarkable new luxury watch was born out of a special collaboration between Richard Mille and Jean Todt, the head of the Fédération Internationale de l’Automobile. It is a limited edition model, with only 15 units scheduled for production, and all of the profit gained from their sale will be directed towards charity. It is called the Richard Mille RM 036 Tourbillon G-Sensor “Jean Todt” and it features a G force complication by Renaud Papi. This shows (on a scale that goes from red through yellow and then green) the number of Gs that the wearer accumulated in short moments of rapid acceleration. It’s obviously not an indispensable feature, but it’s definitely a fun one, because we don’t usually think of measuring out Gs as we move around. The Chinese Year of the Dragon is almost over, and coming up next is the new Year of the Snake, which will officially begin on February 10. To celebrate this new beginning, Vacheron Constantin has unveiled an exquisite timepiece that is part of the Métiers d’Art series. 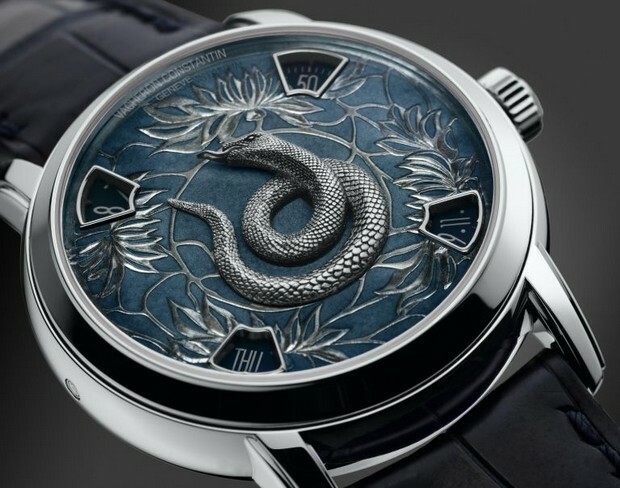 The watchmaker’s relationship with China began back in 1755, so it’s no surprise that for 2013 it created a new luxury watch inspired by the country’s fascinating culture. 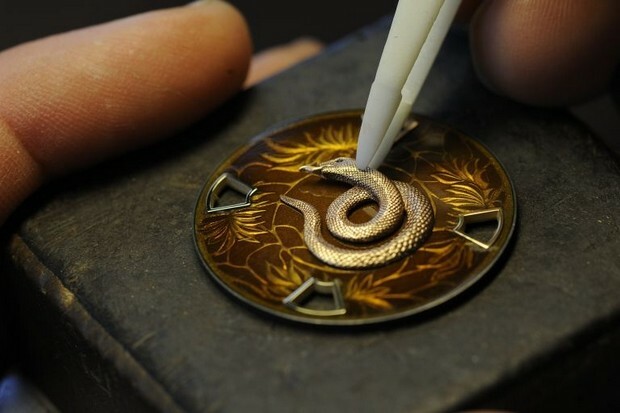 The design is quite obviously inspired by the Chinese iconography, with a beautifully crafted snake in bronze, gold or platinum. The fabulous gold-enameled dial was manufactured using the famous Grand Feu technique, invented and best practiced in Geneva, Switzerland. There are four windows cut into the dial, showing the hours, minutes, seconds, and days. With a 40mm hull, the case is made of either rose gold or platinum, and it safely holds inside a mechanical self-winding movement with 22-carat gold oscillating weight (28,800 vph). Only 12 examples of each version will ever be created, and all of them will feature elegant alligator straps, and the “2013” engraving on the casebacks. You can only learn their prices upon request. The most imaginative Swiss watchmaker, Maximilian Büsser & Friends ‘MB&F’ which refers to their timepieces as ‘horological machines’, as their creations are allegedly primarily micro-mechanical sculptures with timekeeping as secondary function, presented its first of luxury watches, Horological Machine No. 1 in 2006. And since then, this watchmaker renowned for bringing child’s sense of awe and playfulness into high-end watchmaking, has presented the HM2, HM3 and HM4, besides the Legacy Machine No. 1 ‘LM1’ in 2011. 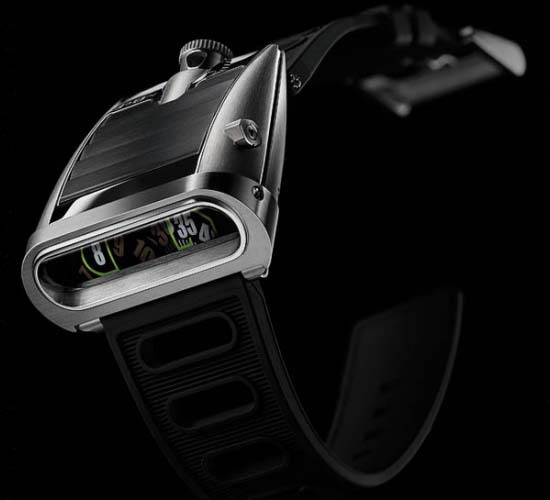 And in a continuation of cool and contemporary watchmaking, MB&F now in 2012 proudly unveiled its 5th horological machine HM5, which is the direct homage to the rebellious and daring Amida Digitrend who actually refused to accept the 1970s quartz revolution. The HM5 actually takes its philosophy from the 1970s icons, muscle cars and now, 40 years into the future, puts them ‘On the Road Again’. Notably, the HM5’s exceptional wedge-shaped case is a tribute to the daring Amida Digitrend, besides it also takes design cues from the sleek and low-slung muscle cars, with louvres on their horizontal rear windows blocking all of the heat and sunlight. And conversely, the HM5’s slide operated louvres actually open to allow light come-in to charge on the Super-LumiNova numbers. And, the forward-facing display makes HM5 truly a driver’s watch with vertical time display, so the wearer doesn’t need to lift the wrist from the steering to read time. What happens when a historic Swiss brand and a global style icon combine forces? You get a gorgeous timepiece that is perfect for the fashion lover on the go. The dapper footballer and father of four, David Beckham is the new face of Breitling’s Transocean Chronograph Unitime world timer luxury watches. In the tough school of aviation, a domain where safety is of vital importance, pioneers needed instruments that were both, reliable and very efficient and Breitling’s pocket and wrist chronographs made the cut. This is the world’s only major watch brand that submits all its movements – both mechanical and quartz – to the extreme tests of the Swiss Official Chronometer Testing Institute (COSC) – the highest benchmark of precision and reliability. Hence as a brand, Breitling has always had ties with aviation and have launched several travel watches, including the famous Unitime in the 1950s and 60. This year, the brand soars even higher with the new the Transocean Chronograph Unitime. The ultimate traveller’s watch, this timepiece is equipped with the new Manufacture Breitling Caliber B05 featuring a patented mechanism. Additional features of this high performance selfwinding chronograph include a universal time function that enables permanent readings of the time in all 24 timezones, and a user-friendly crown-operated correction system. Endorsed by a five year warranty, the timepiece is officially chronometer-certified by the COSC.